This past weekend I organized a trip to New Haven for food and fun. This was not a New York Epic Food Adventurer's Club event, though. It was just an informal quest. 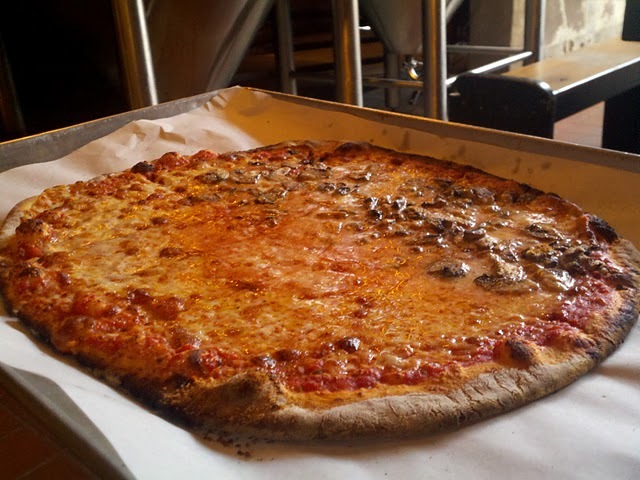 New Haven has a great pizza-making tradition, and I wanted to take advantage of this tradition of excellence. I therefore invited some friends and asked them to invite their friends, etc. etc. All told, there were 12 of us, and a finer cast of characters I cannot recall. We took Metro North, which takes about 100 minutes from New York. We went to Bar and Frank Pepe's. Bar was definitely good, and a very cool place. 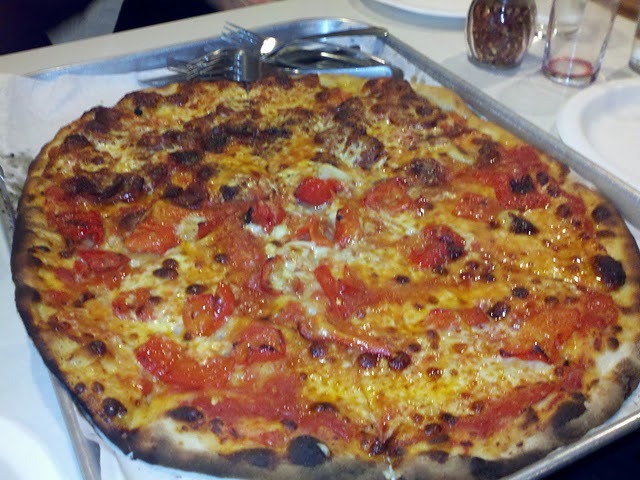 However, I do not think it's quite as good as Sally's or Frank Pepe's, the two most well-known New Haven Establishments. 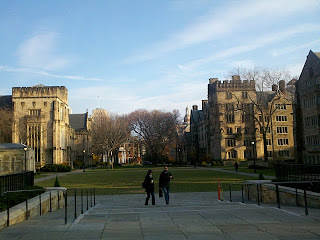 The Yale campus. How lovely. Anyhow, New York Epic Food has always been about walking, and god knows there's nothing wrong with walking. 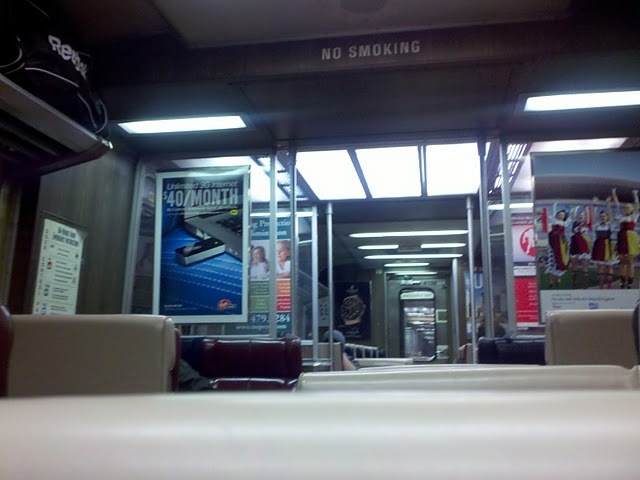 But why can't an official New York Epic Food event entail train ridership? The fact is, I cannot come up with a good answer to that question, so starting now I am changing my official policy and allowing events that entail train ridership. In fact, a few people biked to New Haven yesterday, so what the hell, biking might even be in the cards! I am going CRAZY now. But yes, look for train (and possibly bike) events in the future. Thank you and goodnight.